Important: Mac users affected by this issue can find more information here. Error e0062: Server communication problem. Please try again later. or crash when trying to launch Pix4D Desktop that is already logged in. To determine which version of Pix4D Desktop you are using: Menu Help. The issue is related to the certificate of communicating with the server which expired, Sunday, February 5 of 2017. It is highly recommended to download and install the latest version of Pix4D Desktop that is available here. To continue processing with Pix4D Desktop 3.0, download version 3.0.17 from here (Windows) and here (Linux). To continue processing with Pix4D Desktop 2.1 or 2.2, download the following .zip files for versions 2.1.62 (here) and 2.2.26 (here). Unzip the file that was just downloaded and save the content in a folder of your choice. Locate the folder where Pix4Dmapper was installed, e.g. C:\Program Files\Pix4Dmapper. 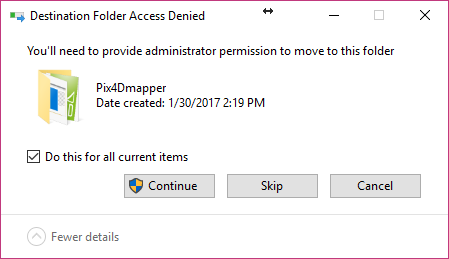 Copy the content of the unzipped folder to the folder where Pix4Dmaper was installed. Download and install Microsoft Visual C++ 2010 Redistributable Package. 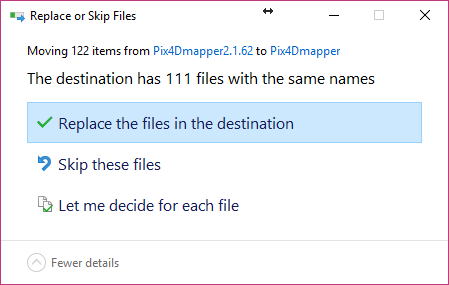 Create a folder named Pix4Dmapper on the path where the software should be installed, e.g. C:\Program Files\Pix4Dmapper. Follow the same steps as in the tutorial: If Pix4D Desktop was already installed on the computer.